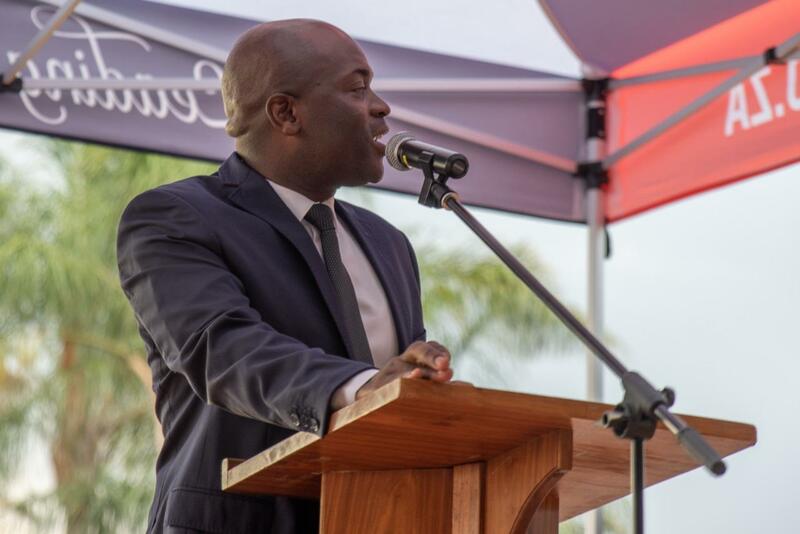 This week saw the launch in Tshwane of Luxury Portfolio International© at a VIP event attended by Executive Mayor Mr Solly Msimanga and many members of the city's diplomatic corps, as well as top names in its business, legal and property circles. Luxury Portfolio International is the biggest seller in the world of luxury property, including many celebrity homes, exclusive resorts and one-of-a-kind designer residences. The average price of the elite homes it sells is about US$2,7-million, and its exclusive inventory (currently worth a total of some US$67-billion) is marketed only to millionaires and billionaires. "This inevitably also creates high-end business and investment interest in the cities and countries where it operates and the good news is that we are already marketing several spectacular properties in the Capital City," says Berry Everitt, CEO of Chas Everitt International, the SA operator of Luxury Portfolio International. "It is a major trend for high net worth and ultra-high net worth individuals around the world to seek hot investment opportunities outside of their own countries, and the purchase of a second or third residence in a certain location will often be accompanied or followed by a commercial investment in that location. This is particularly true in cities like Johannesburg and Tshwane, where business opportunities are the main attraction. "We are thus confident that the presence of Luxury Portfolio International in Tshwane will not only put the city on the international luxury property map along with the better-known SA destinations of Johannesburg and Cape Town, but be a big positive in terms of attracting more interest from the affluent leaders of the international business community and helping to create much-needed employment and economic growth." It will also, of course, present local owners of luxury homes who wish to sell with the opportunity to showcase their properties to a global audience. The Luxury Portfolio International website (see www.chaseveritt.luxuryportfolio.com) is visited regularly by more than 3-million affluent individuals in more than 200 countries, including China, India, Indonesia and Malaysia, which currently have some of the fastest-growing populations of super-wealthy individuals, as well as the US, UK and Europe. In SA, Luxury Portfolio International is operated as a specialist division of Chas Everitt International, which has a strong tradition of family values and is also the award-winning SA affiliate of Leading Real Estate Companies of the World© (LeadingRE), a global network of the top real estate companies in 200 countries. LeadingRE currently sells more than US$372-billion worth of homes a year, or US$55-billion more than its nearest competitor among other international operators like RE/MAX, Keller Williams, Century 21 and Sotheby's International Realty.